‘Why learning is not all in your head’ is a great statement to be aware of. The brain AND body have to be engaged and be able to communicate easily for learning to take place for every child. On these courses, you will understand what this means, recognise in children when this is not happening and then be able to give simple rhythmic movements that will help make the connections. These five levels will give you the most profound and unique set of techniques and knowledge to help many children struggling with physical and emotional development and learning challenges and adults who may be struggling in some areas of their lives. The knowledge and understanding to why many developmental issues arise is invaluable and unique and the techniques to test for and integrate each reflex is simple, transforming the lives of many people and their future opportunities completely naturally. This 2 day course is a special interest course for parents and child development professionals. We look at how the brain develops, the areas that develop during the Early Years and how movement can improve any delays in development. It really is a fascinating course and you will learn simple movements to use at home, in school and early years nurseries and pre-schools. The areas of the brain we look at are the hindbrain, midbrain and forebrain. We also look at the role of the Cerebellum, the Reticular Activating System, the Limbic system, Basal ganglia and the Neocortex. The information is easily understood, accessible and very useful to parents and professionals and just how simple movements can make profound improvements to development and learning. I highly recommend this course to anyone wanting to understand how children develop. This 2 day course teaches you how rhythmic movements can be used to assist in developing the vital neural connections between the Basal ganglia, the Neocortex and the Prefrontal cortex that relate to challenges with impulsivity, focus, attention, comprehension, speech, organisation, muscle tone & motor skills. The primitive reflexes we work with in Level 1 help to build the neural foundations and link up the frontal lobes, the CEO of the brain. 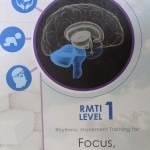 This is underdeveloped in children and adults with attention challenges and ADHD / ADD but can be improved and connected easily using rhythmic movements to integrate the reflexes necessary for these skills. Why do learning challenges occur? This 1 day course looks at how using rhythmic movements can help develop and link up the Limbic system to the Prefrontal cortex to help manage many emotional challenges. Many children have stressful lives and this affects how they are able to learn. When the ‘fight / flight’ system is constantly being triggered, teachers and parents cannot expect a child to be able to learn. First, a child needs to feel safe, relaxed and connected. There are reflexes that need to be inhibited for the Limbic system to function properly, to learn about ‘who we are’ and to feel connected and secure in the world around us. You will learn how motor development and play is very important to help with emotional development, behaviour and memory. The Limbic System and the important role it plays in our emotional development? How can we improve the ability to manage our emotions? The Moro reflex and how it can affect one or more of the five senses. This 2 day course looks at how reading and writing can be held back by a lack of visual and motor development, our ability to recognise the sounds of language and the ability to cross the midline to help reading and writing. The change in literacy skills when the reflexes related to the Neocortex are integrated are profound. Reading and writing becomes easier and successful when the visual, auditory and vestibular senses are fully accessible and functioning properly. Many Dyslexic challenges can disappear allowing the person to excel, and this can be achieved using movement. The Asymmetrical Tonic Neck Reflex is the most common reflex found in people with Dyslexia. This reflex should have integrated by 6 months after birth. Understand the Babkin, Hand Grasp and Hands Pulling reflexes and how they relate to challenges with gross and fine motor movements affecting handwriting, articulation and feeding issues. This is a 2 day course that looks at the Fear Paralysis Reflex (FPR) in-depth and how some people with this reflex still active in their system are living in ‘survival’ mode most of the time. They don’t feel connected in the world, they find it very difficult to communicate or express themselves as they don’t feel safe enough to do so. It is a very debilitating and frustrating situation to be in. They want to, but cannot. Some people put on a ‘face’ when they leave home to help them cope in the outside world, for others that is not enough and they cannot leave their safe environment. If they do manage to leave and get into a stressful situation, they cannot cope and go into overwhelm.The world is not a safe place. The FPR is a very powerful reflex and affects a person’s life considerably. The Fear Paralysis reflex causes freeze / paralysis / ‘shutdown’. We have no choice to move. We need to do this in certain situations but with our choice. Whereas the Moro reflex is the ‘fight or flight’ and gives the choice to stand and fight or runaway. If the FPR is un-integrated and is the dominant reflex of the two then we have no choice to be able to move. People on the ASD spectrum can have either or both of these reflexes still retained at some level. 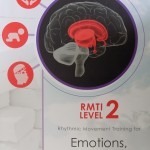 This course addresses more of the emotional aspects as well as the physical side and uses specific techniques to help the person to feel ‘safe and connected’ through movement. The techniques make profound changes to a person’s life and allows them to live more normal lives. The course also is about Bonding and Attachment issues some people have, and helping to improve speech and articulation challenges. It is an amazing course to help those living in constant fear and overwhelm. Be prepared to observe and feel some profound changes. How does a person live with an active FPR? What are the signs and symptoms of an FPR?